This fine example of a relatively rare body style belongs to Tom Healy of Newburyport, Massachusetts. You may recognize Tom's name because he is the owner of the sharp 1958 Packard Hawk that appeared on this page in December 1996. 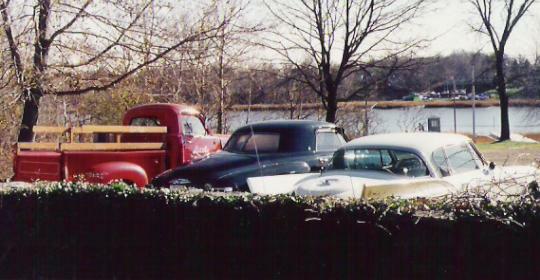 Tom also owns a 1948 Studebaker M Series Pickup. 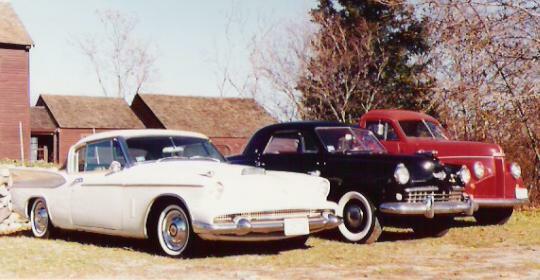 Business coupes were designed to be used by traveling salesmen and featured an extra large trunk with no rear seat. The 1949 Champion engine was basically the same flat head six that was introduced in 1939. This engine displaced 170 cubic inches and was rated at 80 horsepower. 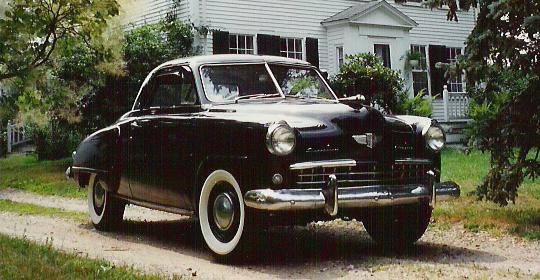 Only 2,360 Champion Business Coupes were produced in 1949. Most were low trim line models in keeping with their intended purpose. The World's Largest Truck Lid! The picture above shows the entire Healy flock of Studes. The 1958 Packard Hawk is one of only 588 examples produced. 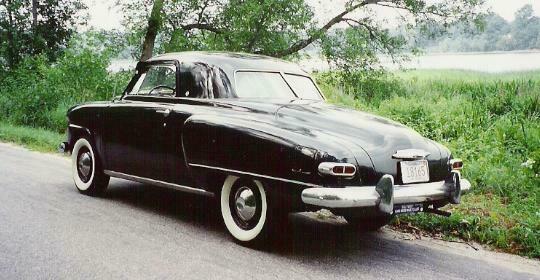 It is basically a Studebaker Golden Hawk with revised styling to make it a Packard. Here is a rear view from over a hedge line. The 1948 M Series Pickup is a final year model as the C Cab Pickup was introduced in mid-1948 as a 1949 model. 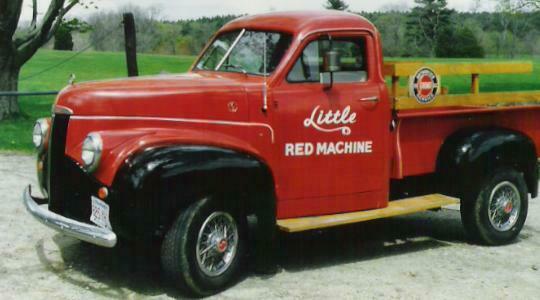 Tom has named his pickup the "Little Red Machine." Many thanks to Tom for sending in the pictures of his Stude collection.